There are just three letters that you need to remember whenever you need cooling tower cleaning, a cooling tower repair, or cooling tower maintenance in Rockville, Maryland: ACT. Our company, Air Cleaning Technologies, has established a reputation as the premier resource for cooling tower maintenance, cooling tower cleaning, and cooling tower repairs in Montgomery County. We go the extra mile to exceed the expectations of our clients, and we build long-term relationships with people, because they appreciate the quality our work. Rockville is a historic city that has its own unique charm. There is a lot to do in town, and everything that a large metropolitan area has to offer is just a stone’s throw away. It is a great place to call home, and we are proud to serve its residents. From Lakewood Estates to Luxmanor to Rollins Park and everywhere in between, for cooling tower repair, cooling tower maintenance, and cooling tower cleaning in Rockville, Maryland, ACT is the trusted resource. 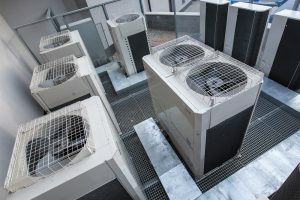 We have a thorough understanding of all the interconnected components that comprise commercial HVAC systems. The air handler is a big piece of the puzzle, and it is important to make sure that it is functioning properly at all times. Air handler maintenance is a must, and this is a service that we provide. When you put out a little bit of money to have a professional maintain your air handler on an ongoing basis, you maximize energy efficiency and prevent system failures. Without question, the air handler maintenance Rockville, Maryland clients can obtain from us can keep your HVAC system running smoothly. However, in some cases, air handler repairs are the only option. This is another area of expertise for our skilled technicians, and they have experience with products that are produced by all major manufacturers. We respond promptly to emergency situations, and we work efficiently to minimize disruptions. If you need cooling tower maintenance, a cooling tower repair, cooling tower cleaning, air handler maintenance, or air handler repairs in Rockville, Maryland, contact Air Cleaning Technologies and we will take care of the rest. Our phone number is 703-547-1680, and you have the option of using the contact form on this website if you would like to reach out to us in a non-emergency situation.